What is teen dating violence and who does it affect? 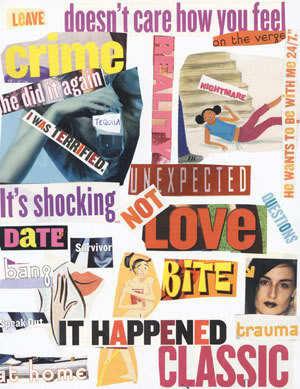 Teen dating violence is a pattern of abusive behaviors used to exert control over a teenage dating partner. It can be physical, sexual, verbal or emotional — like isolating a girlfriend from her friends and family, dictating what she wears, and insulting or undermining her. Men and boys can also be abused within relationships. Dating violence can affect anyone of any age, race, sexuality and socio-economic background. One in five high school girls is physically or sexually hurt by a dating partner. One in three teens experiences some kind of abuse in romantic relationships. Nearly 1.5 million high school students report physical dating violence each year. Two-thirds of teens who have been in or known about an abusive dating relationship have not told anyone about it. One in three teens say they are text messaged 10 or more times an hour by a partner keeping tabs on them. Apologizes and/or makes excuses for his/her partner’s behavior. Loses interest in activities that he/she used to enjoy. Stops seeing friends and family members and becomes more and more isolated. Casually mentions the partner’s violent behavior, but laughs it off as a joke. Often has unexplained injuries or the explanations often don’t make sense. Calls your teen names and puts him/her down in front of others. Acts extremely jealous of others who pay attention to your teen. Thinks or tells your teen that you, the parent(s), don’t like them. and demanding to know who he/she has been with. See the partner violently lose their temper, striking or breaking objects. What can parents do to help keep teens safe in their relationships? Use the resources below to learn what teen dating abuse looks like, which teens are most at risk, how to help teens learn what to look for in a boyfriend or girlfriend, and how to protect teens who might be experiencing dating abuse. At Brookline High School, Peer Leaders organize a Teen Dating Violence Awareness event every Valentine’s Day to highlight Teen Dating Violence Awareness and Prevention Month. Proceeds from candygrams and other activities go to the Jennifer A. Lynch Fund for Domestic Violence Education and Awareness, a foundation that commemorates a former Brookline resident who died on February 14, 2006. Statistics from the US Dept of Justice, Centers for Disease Control and Prevention, loveisrespect.org, Liz Claiborne Inc. teen dating violence survey.